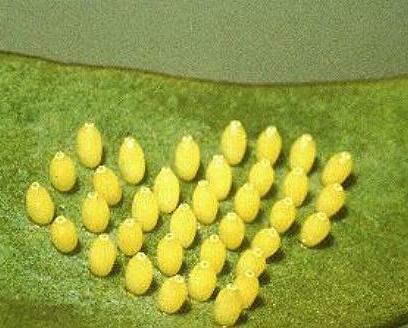 This Caterpillar starts life as one of an array of yellow barrel-shaped eggs laid on the leaf of a food plantj each with a height of about 1 mm. 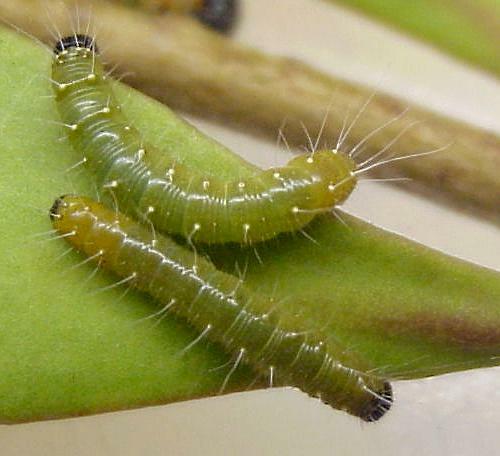 The caterpillar may be one of several shades of colour: either yellow, brown, green or pink. It has long white hairs growing out of rows of white spots, and a black head and tail. 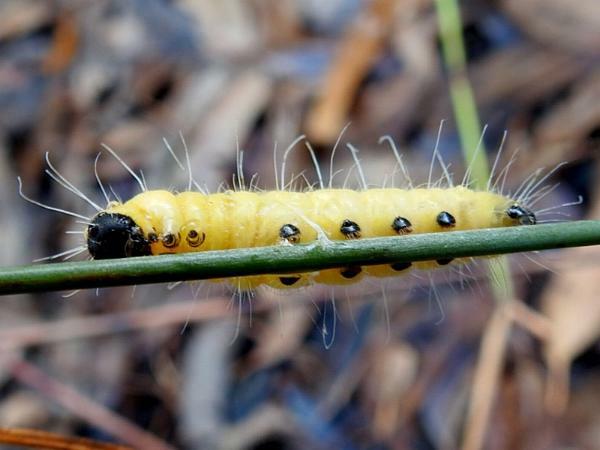 The caterpillar grows to a length of about 2 cms. Northern Sandalwood ( Santalum lanceolatum, SANTALACEAE ). 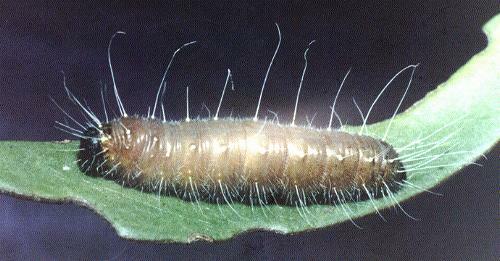 The pupa has a length of about 2 cms. 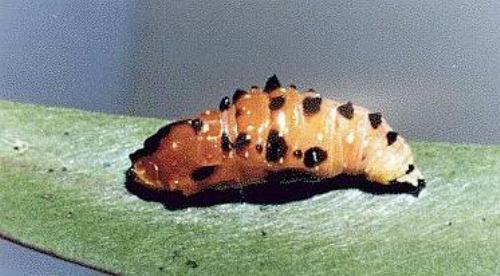 It is orange or yellow with black spikes, and is attached to a leaf of the food plant. 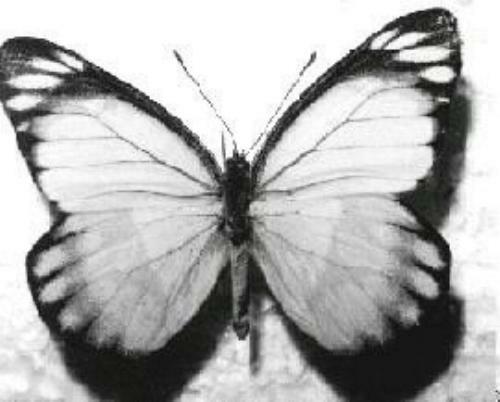 The adults are white on top, with a black tip to each forewing and a wide black margin to each hindwing, both containing white spots. 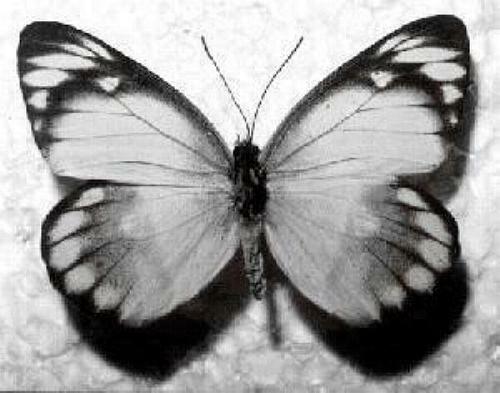 The wingspan is about 6 cms. 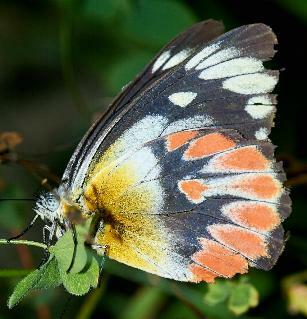 Underneath, the forewings are similar, but the hindwings have a yellow base, then a white band, and have a black outer half containing an arc of red splotches. 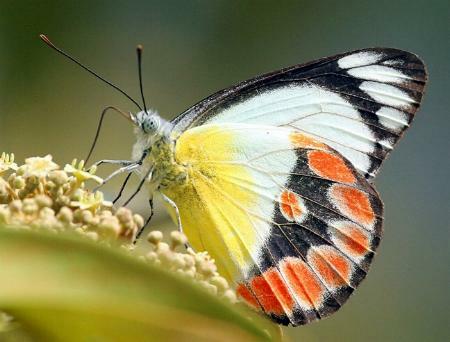 Butterflies of this species may be purchased for release at weddings etc. CSIRO Publishing, Melbourne 2000, vol. 1, pp. 339-340. Volume 3, Part 1 (1793), p. 200, No. 624. Earthling Enterprises, Brisbane, 2005, pp. 39, 59.